In a city engaged in the fight against the underworld, a specialized team is called to deal with criminal gangs, with the task of eliminating them personally, facilitating the work of official bodies. 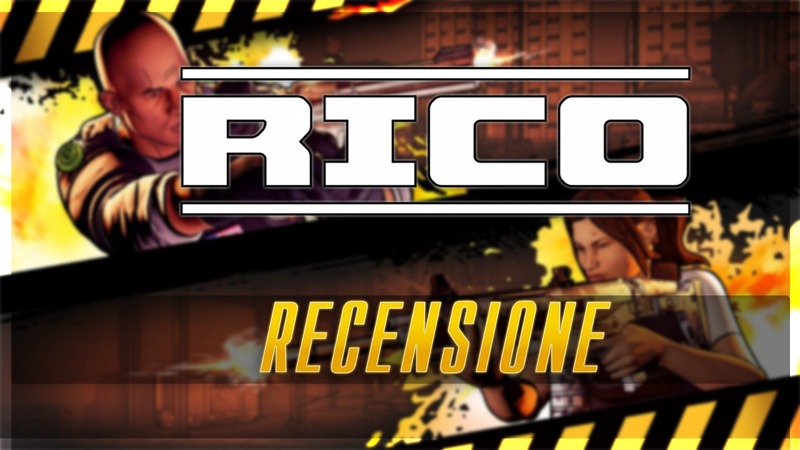 These are the simple premises of Rico, the indie developed by Ground Shatter available from 12 March 2019 on Ps4, XboxOne, PC and Nintendo Switch. 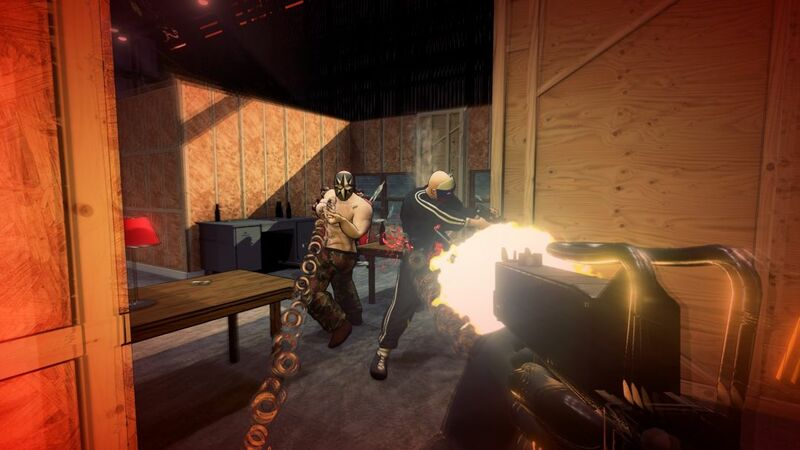 The title is one first-person shooter focused on the cooperative, online or local. Once the game started, after a brief introduction we find ourselves in front of the main screen, from which we can choose whether to start a single game or join an online match, in addition to the possibility of playing locally with a friend. There are three main modes: Quick Operation, Daily Match and Case. The first is in turn divided into a random operation, training and Lockdown mode, in which we must resist endless waves of enemies. In the second one, instead, we have at our disposal a random equipment with which we will have to complete a certain level. La Case mode it is instead the main one, articulated in different (so to speak) stages to be completed up to the final boss; we will almost always have to clean up buildings from enemies, collect evidence and perform other secondary activities such as defusing bombs and destroying elements of the scenario, which however are simply resolved by holding down a key or firing a few shots. Before each operation we can choose the equipment to use; this is articulated in main weapon, tactic and grenade. 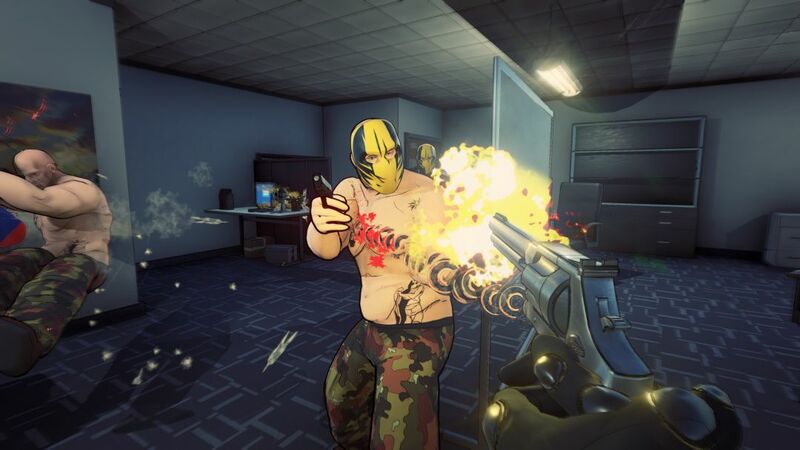 Completing levels, we will acquire "merits" to use to unlock new arsenal; however on the whole it turns out to be really poor: only a dozen weapons divided into pistols, machine guns, shotguns and automatic rifles. By playing, you can then accumulate money that you can spend on the aesthetic customization of the paraphernalia. Let's now actually analyze the features and the playability of the title. 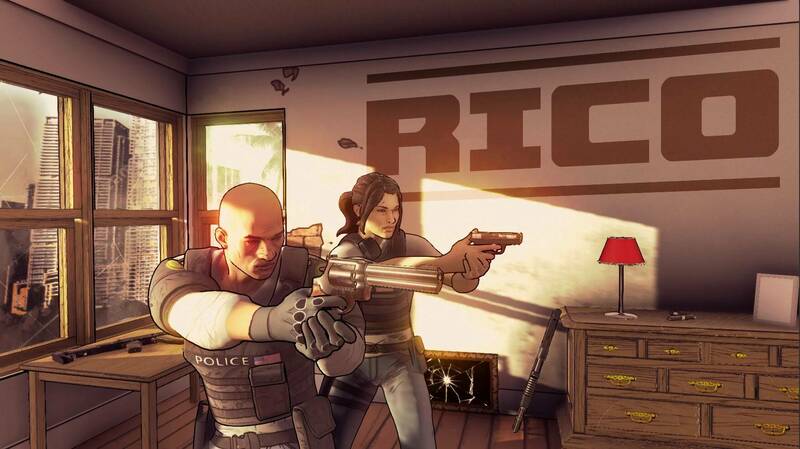 Made with the cel-shading technique along the lines of Borderlands, Rico looks like a classic FPS: the controls are in fact the same as all the games of the genre and, as usual, you can crouch or make a slip while you run. Despite being procedurally generated, the levels are excessively repetitive, bare and really uninspired. The artificial intelligence of the enemies is very little present, and completely (or almost) flattens the level of challenge. 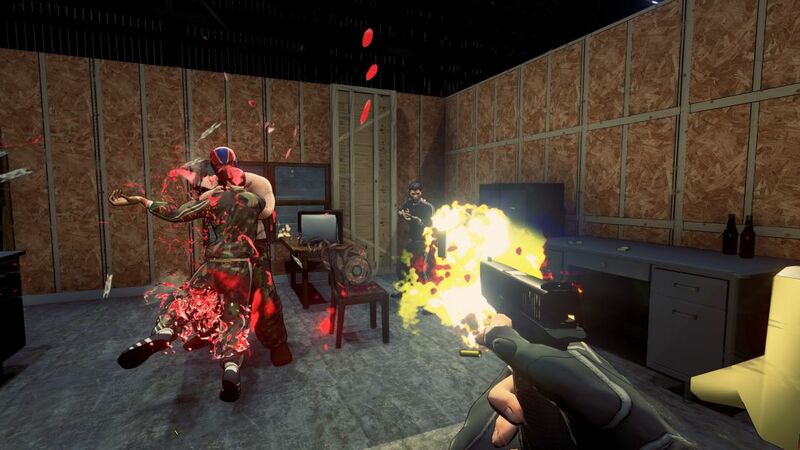 The models of the characters, including those we can choose from, give the idea of ​​being made approximately and without commitment, ending up even merging during the phases of action with those of the enemies to be killed. There is really no variety in the missions: each stage ends up looking awkwardly like the previous one, making it very unwise to make us choose between different levels. Take out hordes of enemies does not give the least satisfaction, since they simply fall to the ground without any kind of animation, like mannequins. Each character we use can be upgraded with specific features, unlockable by gaining experience. Pity though that excessive repetitiveness and anonymity of the game make the progress of the level and the progress in the missions extremely boring, removing sense also to this possibility of personalization. It is also really frustrating that in the event of a game over it is necessary to repeat all the levels discussed above, including the initial training phase. A choice of which I still struggle to find the meaning. The title, then, shows the hips also in the main mode for which it was designed, the cooperative. Playing together with others, be they strangers or friends, gives some funny moments for one or two games but nothing more, before the boredom begin to be felt predominantly. In short, the contents offered by Rico, and above all the way in which it offers them, they do not justify at all the price well 19,99 euro: if you really want to get your hands on Rico, the advice is to wait for a possible price drop, given the current conditions anyone would do better to go elsewhere.